National takes pride in being an advocate for entrepreneurship and independence. We support our Area Developers in whatever areas they need, but we encourage and reward their autonomous decisions as business owners. Our model is based on the belief that our Area Developers reserve the right to make their own business decisions, and our job is to support them in these actions, provided they uphold National's trademark and maintain our reputation. We differ from other companies in that we neither overwhelm our Area Developments with requirements nor leave our Area Developers to struggle for themselves without offering them the assistance and training they need to succeed. Although we cannot promise our Area Developers will thrive in the industry, we can promise that we will support our franchise owners every step of the way. The business model of National's Area Developer model is composed of five main parts: National, the Area Developer, the territory, the MicroZ's, and the account sales. All five of these components work together to create a successful business atmosphere. National's role is to offers potential financing and continuous support throughout the duration of each Area Developer's franchise. We offer initial and annual training, marketing services, access to preferred vendors and services, and time-tested methods and products to our Area Developer partners. The Area Developers use National's tradename and techniques to establish and grow an independent business. The territory is the location that is selected by the Area Developer in which to do business, and the rights to operate within that territory are purchased from National. The MicroZ's are unit franchise owners that will perform the actual work in the accounts obtained by the Area Developer, and are supported by the Area Developer in a similar way that the Area Developer is supported by National. 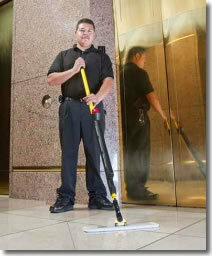 Finally, the account sales are the cleaning contracts obtained by the Area Developer. These accounts are the businesses that the MicroZ's will be cleaning. Click on Request Information for FREE info on how to open a National Maintenance Contractors franchise today! Please Note: This National Maintenance Contractors franchise opportunity and other franchise business opportunities, businesses and franchises for sale on this web site are not to be considered as an "offering", "franchise offering", suggestion or recommendation by Franchise Leader™. This advertisement depends entirely on the truthfulness of the information provided by our advertisers which includes, but is not limited to, franchisers, franchise brokers, franchise consultants and business brokers. Franchise Leader™ recommends that you consult a lawyer, financial consultant, accountant or professional advisor before buying a franchise or business opportunity or any type of business. By using this form or any part of our website, you have agreed to all terms and conditions of Franchise Leader™. Please review our Terms & Conditions for more information.